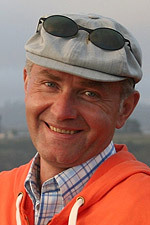 REDDING, Calif. - Simpson University’s Communication and Modern Foreign Language Department will sponsor a book launch at 7 p.m. April 15 for adjunct communication professor Mirek Woznica. Mirek Woznica was born and raised in Poland. He has worked in Australia, Europe, and Alaska as a Catholic priest for 21 years. He has a master’s degree in theology and has done part-time doctoral study in pastoral theology. He started teaching oral communication at Simpson University in 2013. He and his wife, Regina, live in Redding. 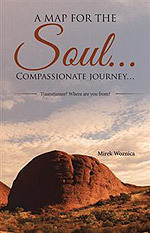 Woznica’s book examines questions such as why we continue to journey in a particular direction even though we know, deep down, it is not the right path, and why we live with no peace in our souls. Woznica shares his own journey that took him to a place of compassion and life-changing decisions. Simpson University’s Communication and Modern Foreign Language Department includes a communication major with specializations in journalism, Spanish journalism, mass communication, public communication, organizational communication; a Spanish major; and a Spanish language certificate. For more information, visit simpsonu.edu/communication.